Dhakarmatrimonial will endeavour to provide all possible assistance to the Mumbai Police (Cyber Crime Investigation Cell) or any other statutory investigation agency to tackle fraudulent users of dhakarmatrimonial.com, on being specifically instructed by the said authorities to do so. Welcome to dhakarmatrimonial.com, your personal matchmaking advertiser. Dhakarmatrimonial is an advertising platform providing targeted advertising services for matchmaking alliances and replaces the traditional newspaper classified. Dhakarmatrimonial helps you promote and advertise your profile to the prospective alliance partner to drive an 'Accept', the first step in seeking a life-partner. Access to the Dhakarmatrimonial website is free. However, we offer Premium Memberships wherein one can promote his/her Profile on various Dhakarmatrimonial properties such as Premium Interest Wall, Inbox, Search Results, Emails, Shaadi, SMS, etc. To register as a member of dhakarmatrimonial or use this Site, you must be of legal marriageable age as per the laws of India (currently, 18 years or over for females and 21 years or over for males). The Dhakarmatrimonial site is only to facilitate personal advertisement for lawful marriage alliance between persons who are legally competent to enter into matrimony under the laws to which they are subject. Membership in the Service is void where prohibited. By using this Site, you represent and warrant that you have the right, authority, and legal capacity to enter into this Agreement and that you are not prohibited or prevented by any applicable law for the time being in force or any order or decree or injunction from any court, tribunal or any such competent authority restraining you from entering into matrimony. You also agree to abide by all of the terms and conditions of this Agreement. If at any time dhakarmatrimonial is of the opinion (in its sole discretion) or has any reason to believe that you are not eligible to become a member or that you have made any misrepresentation about your eligibility, dhakarmatrimonial reserves the right to forthwith terminate your membership and / or your right to use the Service without any refund to you of any of your unutilized subscription fee. You may terminate your membership at any time, for any reason by writing to dhakarmatrimonial.com. In the event you terminate your membership, you will not be entitled to a refund of any unutilized subscription fees, if any, paid by you, except where otherwise stated in writing. dhakarmatrimonial.com may terminate your access to the Site and/or your membership for any reason effective upon sending notice to you at the email address as provided you in your application for membership or such other email address as you may later provided to dhakarmatrimonial.com. If dhakarmatrimonial.com terminates your membership for breach of terms of this Agreement, you will not be entitled to any refund of any unused Subscription fees, if any, paid by you. Certain provisions of this Agreement including sections 4, 5, 7 and sections 9 to14, of this Agreement shall remain effective even on termination. Term for the paid Membership would be in accordance with the type of membership undertaken.  The dhakarmatrimonial.com Site is for the personal use of individual members to advertise and promote their profiles for the purpose of generating Accepts from relevant matches and cannot be used in connection with any commercial endeavors. This includes providing links to other web sites, whether deemed competitive to dhakarmatrimonial.com or otherwise. Organizations, companies, and/or businesses cannot become Members of dhakarmatrimonial.com and should not use the dhakarmatrimonial.com Service or Site for any purpose. Illegal and/or unauthorized uses of the Site, including unauthorized framing of or linking to the Site will be investigated, and appropriate legal action will be taken, including without limitation, civil, criminal, and injunctive redress. 1. Dhakarmatrimonial reserves the right in it's sole discretion to review the activity & status of each account & block the account of a member based on such review. 2. You hereby confirm that as on date of this registration, you do not have any objection to receiving emails, messages and calls from dhakarmatrimonial.com and members of Dhakarmatrimonial as long as you are a registered member of Dhakarmatrimonial. This consent shall supersede any preferences set by you with or registration done with the Do Not Disturb (DND Register)/ National Customer Preference Register (NCPR). This consent extends to emails, messages or calls relating but not limited to phone number verification, the provision of matchmaking advertising service, matchmaking enquiries and promotions. 3. Multiple profiles of the same person are not allowed on Dhakarmatrimonial. Dhakarmatrimonial reserves the right to deactivate all multiple profiles without any refund of subscription fees.